We gaze into our crystal ball to see how the 2015 and 2016 iPhones will differ, as we look at the iPhone 6s and the iPhone 7. No don’t worry folks, we have not just jumped into the future with the aid of a customised DeLorean. Today we are comparing the current-gen iPhone 6s (the one released in September 2015) with 2016’s as-yet unnanounced iPhone 7. (The image above is an awesome mockup by Computerbild.de of what the iPhone 7 could look like, by the way). “Why?” You might ask. “This is pure speculation!”. Well just for kicks, mainly. And yes, it is speculative to an extent, but it’s also worth a look because of a few other factors. First, being how unnervingly thorough, far-reaching and accurate the modern rumour mill is – nothing escapes its tendrils and already we’re getting plenty of juicy information about next year’s iPhone 7, much of it from repeatedly proven reliable sources. On top of that, although the iPhone 6s has just come out Apple has likely been at work on the next iPhone–the iPhone 7–for at least a few years now. And because of the way Apple’s iPhone product cycles work, it’s relatively easy to predict what a major new iPhone design will feature. You see, Apple historically has released iPhone upgrades on a “tick-tock” basis. Every tick is a major new form-factor upgrade and every tock retains the old form factor but usually introduces a new feature. Examples of “tick” releases are the iPhone 4, the iPhone 5, and the iPhone 6 (and 6 Plus). These iPhones all featured radical form-factor redesigns over the previous iPhone. The iPhone 4 had the first Retina display and glass and aluminum body. The iPhone 5 had the 4-inch screen. The iPhone 6 had the 4.7-inch screen and so on. Examples of “tock” releases are the iPhone 4S, the iPhone 5s, and the iPhone 6s. In each case each of these phones retained the same form-factor of its predecessor but added new usability features. The iPhone 4s added Siri; the iPhone 5s added the Touch ID and M7 motion coprocessor; and the iPhone 6s added the 3D Touch display. Speaking of the iPhone 6s — this year’s model saw a raft of major improvements in several key areas, though most notably imaging and processing power. Beyond this we saw more RAM included, 2GB to be specific, as well as slightly thicker chassis overall, owing to the inclusion of 3D Touch technology in the display panel. So while it might look A LOT like last year’s model it will function quite a bit differently. Apple announced it sold more than 13 million new iPhone 6s and iPhone 6s Plus models, a new record, just three days after launch. iPhone 6s and iPhone 6s Plus will be available in more than 40 additional countries beginning October 9 including Italy, Mexico, Russia, Spain and Taiwan. The new iPhones will be available in over 130 countries by the end of the year. This is a HUGE figure and, importantly, it is quite a bit more than Apple shifted last year which, again, is pretty significant for a release many consider to be minor or incremental. China helped in a big way this year, having access to the new iPhone 6s and iPhone 6s Plus at the same time as other markets around the world. Apple confirmed 13 million sales during the first few weeks but that figure is expected to grow rapidly in the coming weeks and months. Design: Completely new design. Thinner body and bezel. The important thing to remember with iPhone upgrades is that the tock “S” cycle upgrade primarily see internal enhancements and the tick prime upgrades see body design changes. That’s why the iPhone 6s will probably have more radical internal changes from the iPhone 6 than the iPhone 6s does to the iPhone 7. 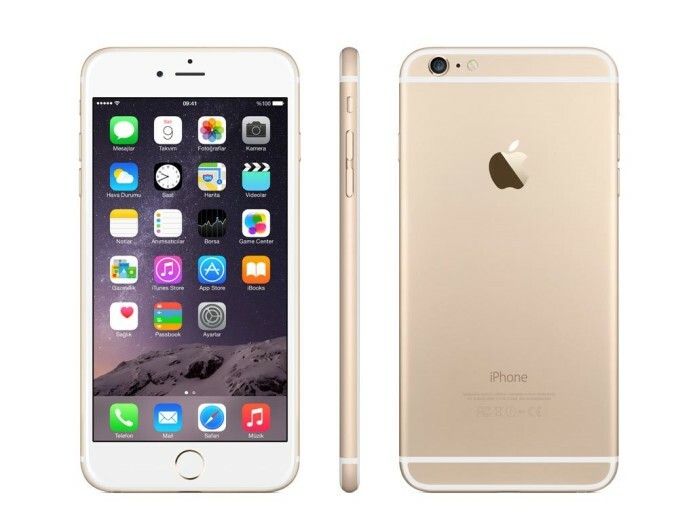 It’s believed the iPhone 6s will get the A9 processor and finally get a double-the-RAM boost to 2GB. That means that the iPhone 7 will almost certainly have an A10 chipset and 3GB of RAM. Traditionally Apple has kept the amount of RAM the same for more than one year, but by the time the iPhone 7 ships in autumn 2016, most Android phones will have 4GB RAM minimum. Apple will need to keep up, if not match it. As for storage options, with the iPhone 7 we finally expect Apple to drop the 16GB entry level option for a 32GB entry level model. Needless to say, dropping the 16GB storage model is long overdue. No one, NO ONE should buy a 16GB smartphone. You’ll fill it all up with large 12MP photos in the first month you own it. 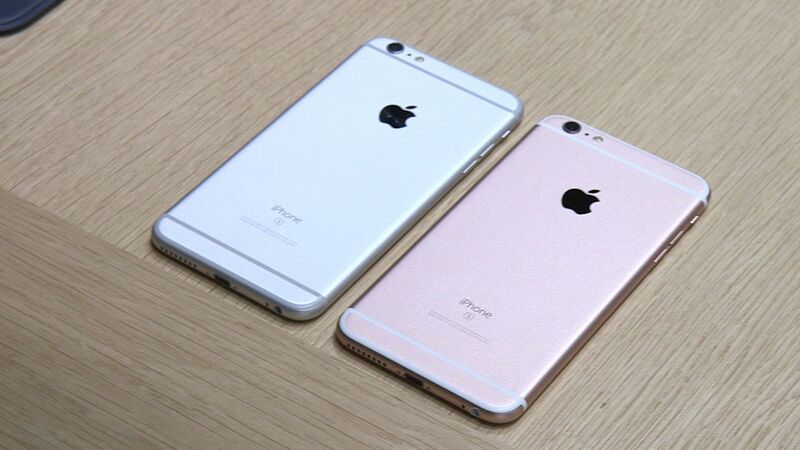 The iPhone 6s looks exactly as the iPhone 6 does, just a bit thicker. But if that iPhone 6s design is looking a bit stale to you, then you are going to love the iPhone 7. It will feature a radically different design. What to expect? A thinner body is guaranteed. KGI Securities superstar analyst Ming-Chi Kuo, who has an excellent track record with predicting iPhone specs, says the iPhone 7 will be Apple’s thinnest yet–approaching the thinness of the iPod touch (which is really, really thin) Kuo expects the iPhone 7 to be between 6.0mm and 6.5mm thin (the iPod touch is 6.1mm thin). Another rumor is that the iPhone 7 could adopt glass-on-glass touch panels instead of the current in-cell touch panels used. This would allow Apple to make the iPhone 7 a bezel-free phone, which would be amazing. However, it would also make the iPhone 7 a bit thicker–and if Kou is right about the iPhone 7 being thinner, it’s likely it won’t adopt a glass-on-glass touch panel, which means the iPhone 7 will still have a bezel. There’s also strong hints that Apple is working on doing away with the physical home button and embedding a virtual home button and Touch ID in the screen itself, but that might not come until the iPhone 8. Apple has filed patents for such a in-screen home button, but the company files patents for everything–99% of which never make it into a shipping product. 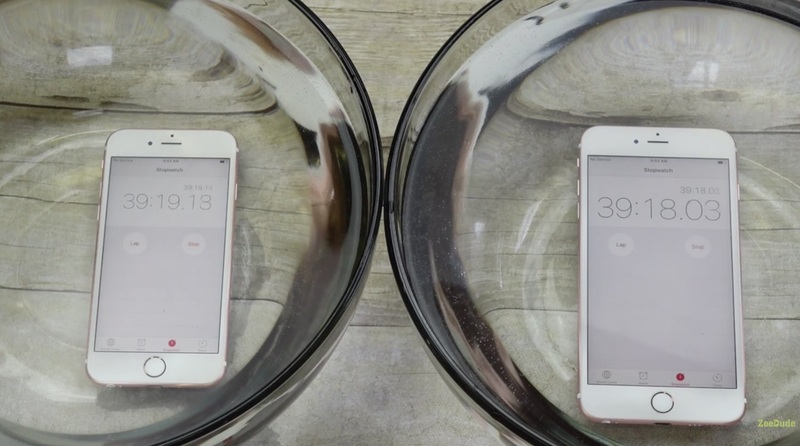 Last month the internet freaked out when videos surfaced of the iPhone 6s surviving 30 minutes underwater. It turns out Apple secretly added new adhesive strips inside the iPhone 6s to block any moisture getting in. Now a Chinese Mac blog is claiming that this was just a dry run (get the pun) for Apple, and that the iPhone 7 will officially be certified as waterproof. In addition to waterproofing by using internal gaskets, another Chinese site is claiming Apple will ditch the aluminum casing of the iPhone 6s for an all new plastic material on the iPhone 7 to make sure the device is fully waterproof. We don’t see Apple’s iPhone 7 being a plastic phone, but only time will tell. Right now the iPhone 6s uses an LTE chipset from Qualcomm, but recent rumors point to Intel working on an iPhone-compatible LTE chipset for the iPhone 7. If this is true users won’t likely notice much of a difference. Instead, Apple would use the Intel LTE chip so it can drive component costs down. The iPhone 6s gained the 3D Touch display that the Apple Watch has (there, it is called the Force Touch display)–of course the iPhone 7 will adopt this 3D Touch display as well. But we also expect the iPhone 7 to get a higher resolution display, specifically a QHD one with a resolution of 2560 x 1440, as many Android handsets have. By autumn of 2016 anything less that 2560×1440 will be the equivalent of what standard definition is today. Apple could also make subtle upgrades to the 3D Touch display in the iPhone 7–for example, making it sensitive to more than two types of pressure inputs, but other than that we don’t expect the 3D Touch display to change much. Internally the iPhone 6s gained a huge camera upgrade with its 12MP rear camera (up from the 8MP camera in the iPhone 6) and its 5MP front FaceTime camera (up for 1.8 MP in the iPhone 6). But going to the iPhone 7 we expect the camera upgrade to be less pronounced. Apple will probably keep to a 12MP rear camera but add optical image stabilization across the line (right now only the “Plus” models feature it). The iPhone 7 will also probably retain the same FaceTime camera. The iPhone 6s also gained 4k video recording on the rear camera–something we don’t see changing or expanding on for the iPhone 7. However, it’s possible the front FaceTime camera could gain 4k video recording in the iPhone 7.